Cash code is a binary options software by Robert Allen. Robert is telling traders that by coming to this website it’s just like winning the lottery. He is also telling traders that they been randomly selected by his system to win $10,000 today. 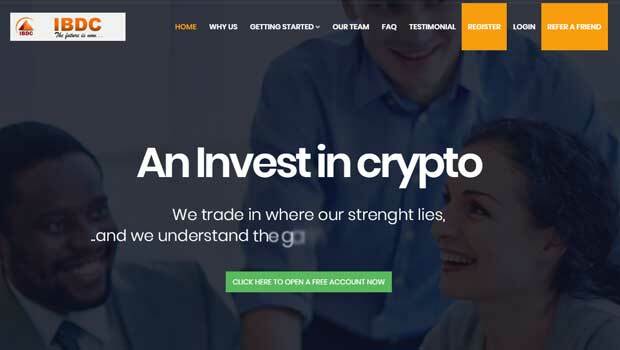 In my review this evening I’ll be taking a closer look at this code and informing the binary options community about the software and its potential. The cash code has a very similar layout and marketing style to most binary options products in this market. There is an annoying pop-up with a one minute timer that makes it seem like we won something, a binary options video and an email subscription form that leads to a members area. Like usual, there are quite a few boastful claims on the website. Robert is telling traders that his system has been ranked the number one trading software 3 years in a row. I have a hard time believing this considering the product just came into my email today and I know every single binary options software that’s been released in the last 3 years. In the cash code video Robert informs us that his website has made more millionaires in the past 6 months than any other website on earth. He wants us to believe that if we simply listen to his video and does what he says that we’ll be millionaires and 60 days from now. We are then shown multiple screenshots of bank accounts alongside photos of people. As the video continues on there doesn’t seem to be any real strategic discussion so I’ve no idea how the software works which makes it very difficult for me to come to a conclusion. As of right now I can’t give a recommendation to the cash code binary options software because there is little to no information on this anywhere. The video on the website doesn’t exactly help because the software is never actually discussed outside of how much money it can make you. That being said, I hope that the binary today community will leave their comments and remarks about the system now so that we have some sort of a baseline to go on. 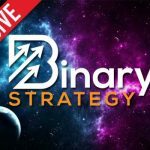 Thanks for coming to binary today, I hope you enjoyed my review and if you ever need any binary trading help just click Ask John at the top of the site. The Cash Code “free software” is indeed free…but only after I opened an account with an assigned broker (Porter Finance in my case) and deposited a minimum of $250. The real catch is that the software only provides a demo so you can learn the software with play money. It seems you have to join a community in order to get the software running real time online using your broker account. I haven’t gotten far enough in to find out what this community costs or if there additional charges for robots. There are no instructions for the complicated software. The “helpful” email I received said if I need help or instructions to read the tutorial on the broker sight or call the broker. Apparently the broker will not release my money until I have actually traded. So here my money sits in a broker account and it seems it will take me months to learn enough about the software to feel confident trading. Allens video says it only takes 7 clicks and a monkey can do it. LIES. I have every confidence I can learn this, but beware to those who are relying on any help. I am a divorced mother of 5. Shame on these people preying on the hopes of others. Did you win. i have played it in 6 month and i be glad if we can talk about it. Hi Greg, I wouldn’t recommend the Cash Code. Just got your email and responded. My broker took 250 extra dollars from my bank acct. Thus creating a second acct. Which I could not access.My emails were never answered. I got crazy emails like check waiting for 50,000 dollars after I only made two trades.Then they locked me out of the members area and the brokers area. Nobody ever gave me any help and it was very confusing.You had to stay on the computer constantly or your “funds” would vanish if you didn’t claim them.Contact your bank and report fraud get money back. Really sorry to hear that Donna. I hope you get what is owed to you. They are all scams….liars out to cheat everyone….no thanks, I won’t be doing this one either !!! This landed in my inbox too. It is the same tired old marketing strategy and whenever you email for more information you are ignored. It does not inspire confidence and there is no evidence presented for the claims this guy makes. My experiences have taught me that if it is too good to be true it probably is and this is yet another affiliate marketing scheme. Every experience has taught me none of these so called “free” software systems work. My instincts tell me to stay away. Please advice which trading software do you recommend? What’s the great tip to be a top trader? Hi Phillip, the systems I recommend are all tested and rated highly by my readers.